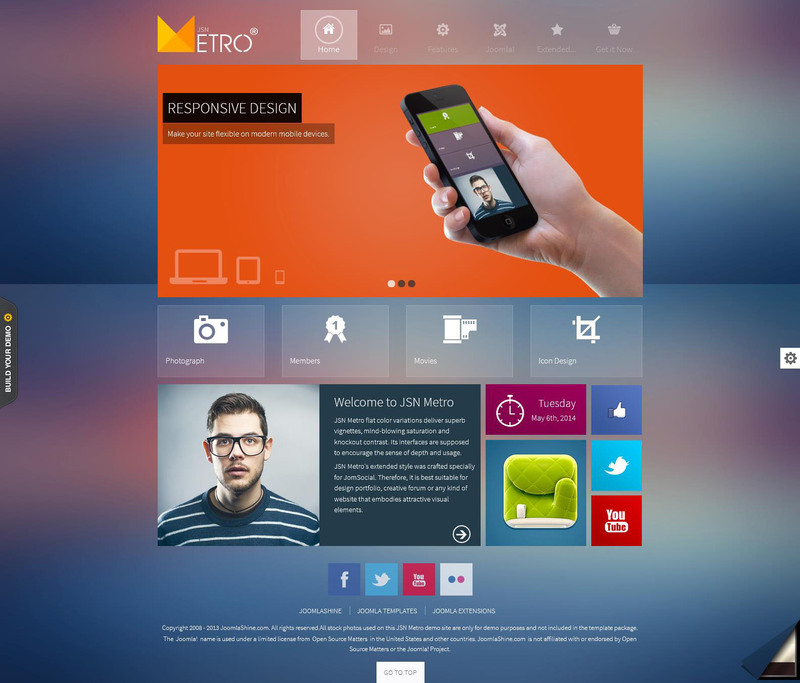 JoomlaShine studio designers have developed a small website template JSN Metro , visually representing the operating system Windows 8. The original modern layout includes a unique set of visualization tools, promoting the creation of a site of any style and subject matter. From JSN Metro may implement their own social group or online community. This template is easy to setup and use, but other than that loads quickly and simplifies many tasks. Template undoubtedly perfectly displayed on the popular mobile and tablet devices and in all known browsers.